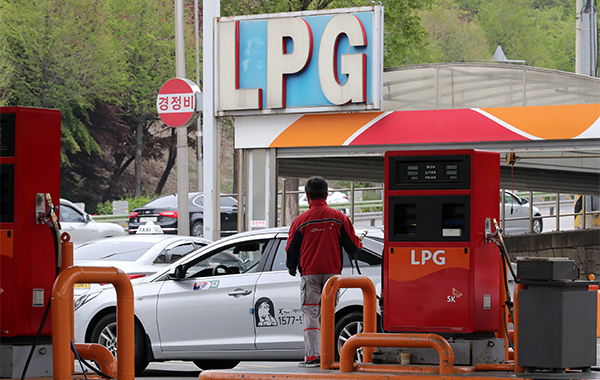 South Korea has done away with barriers in motor vehicles fueled by liquefied petroleum gas (LPG) to allow consumer purchase as a part of endeavors to combat fine dust pollution, raising hopes for carmakers to capitalize on the widened fuel momentum. On Tuesday, the National Assembly passed bills to fight fine dust including one that lifts restriction in consumer purchase of LPG cars. Any real relief to road pollution will depend on bigger choices as few carmakers have versions in gas fuel. The current law allows taxi and car rental businesses, the disabled and persons of national merit to buy LPG cars. Other consumers can buy LPG compact cars not exceeding 1,000 cc or LPG recreational cars for five or more passengers. Secondhand LPG vehicles can be owned when they are registered for at least five years. Carmakers are weighing if they can capitalize on the liberalization. Renault Samsung moved fastest by readying a LPG version in QM6 in the first half of this year It currently sells SM6 and SM7 passenger sedans in its LPG vehicle lineup. Hyundai Motor added an LPG model to its new Sonata marque. Compact SUV Kona is reportedly on course as an LPG model. Kia Motors; LPG cars include the Morning, the K5, the K7 and the Bongo.